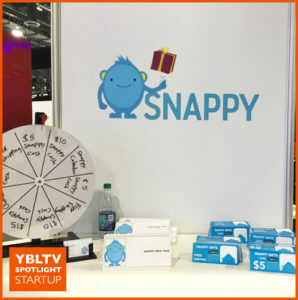 YBLTV Spotlight Startup: Snappy Gifts. Snappy App, Inc.: Snappy is an app that combines the thoughtfulness of a real gift with the effortlessness and choice of a gift card. Snappy offers sending real gifts in seconds, while providing flexibility and choice for receivers, by giving them the power to choose the gift they like most from a collection of personalized gifts. Snappy uses a machine learning system and interacts with uses to offer its tailored gifts and match them to receivers taste and preference. Finally there is a way to save the hassle of searching for the perfect gift without settling for a meaningless and boring gift card. Snappy is here to make gifting simple, fun and special as it should be. Snappy App, Inc.: A homeless guy in the streets of Tel Aviv! Huh? Yes for real 🙂 After giving money to a homeless guy in the street he gave me a surprise – a ball covered with aluminum foil and inside was a surprise – a chocolate ball! yes it was disgusting but the fact that I got a gift and had to reveal what it was – was so exciting and at the same moment I thought to myself— Why is making people happy have to be so hard? Why is buying a gift so complicated when it could and should be so simple and fun! YBLTV: How did you go about starting up, did you apply for funding or did you self-fund the project?If so, where did you secure funding from? Snappy App, Inc.: From our amazing advisors who are always there in times of need and from Score organization which does an amazing job of connecting to advisors! Snappy App, Inc.: OHH there are many challenges, can’t pick one. Startups are hard but also a lot of fun! Snappy App, Inc.: Spread the Snappy word and put an end to meaningless and boring gift cards! Snappy App, Inc.: It is fun, fulfilling, exciting, has everything in it. 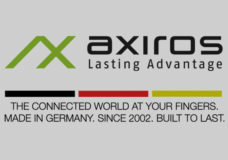 You can learn and develop like in no other place. Snappy App, Inc.: There is nothing like this out there! All other gifting apps are focused on gift cards and are sending 1 gift but not a ton of gifts and letting recipients choose. Snappy App, Inc.: Everyone is invited to get Snappy! 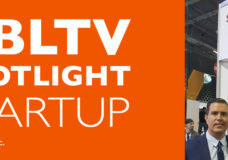 YBLTV: How do you see the mobile landscape evolving? Snappy App, Inc.: I think the trends are leaning towards everything going mobile. More and more people feel comfortable to shop from their phone and do pretty much everything from it.